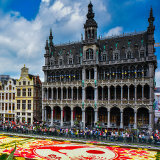 Brussels is the capital city of Belgium and is a major hub for international politics and EU institutions. It is known as the cultural heart of Europe with a history dating back to the 13th century. 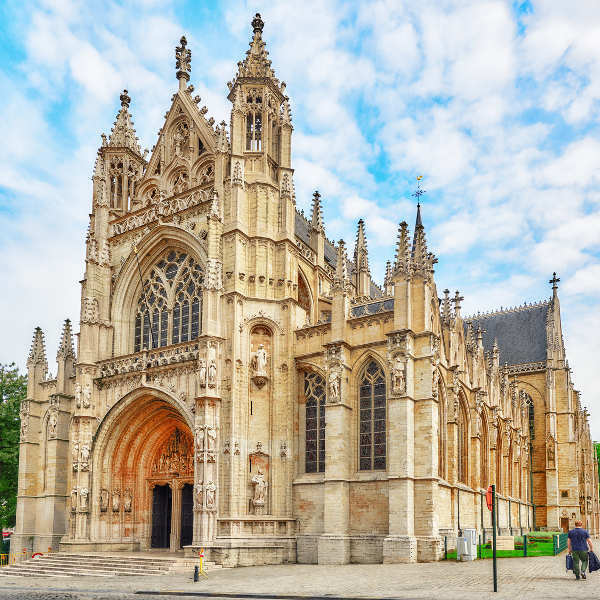 This lively city boasts some of the most incredible historical, religious and architectural landmarks on the continent, attracting tourists all year round. 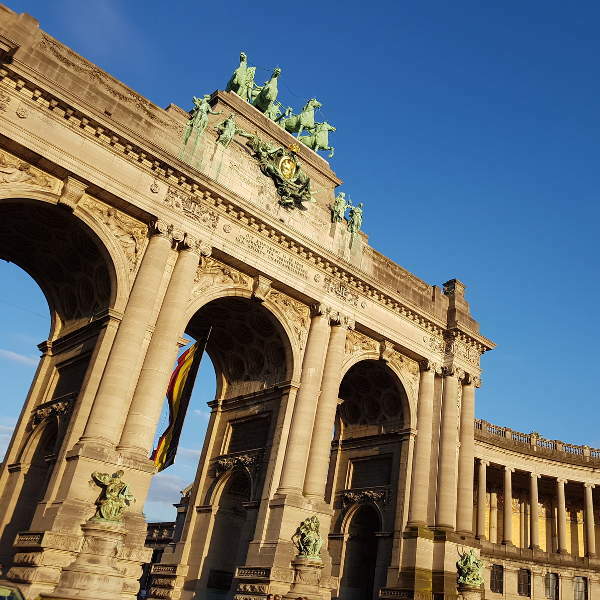 Cheap flights to Brussels are now available, so book your flight today and be taken back in time by the charismatic energy and historic wonders this city has to offer. Brussels is home to Brussels International Airport (BRU), which is a 20-minute drive to the city centre. BRU serves a multitude of airlines including Brussels Airlines and Turkish Airlines. Popular connecting flights to Brussels depart from Johannesburg and Cape Town. The flight duration from Johannesburg to Brussels is approximately 12 hours and 55 minutes. The diverse architectural landmarks of the city span a range of styles, including Gothic, Baroque and Art Noveau. Some famous buildings include The Grand Place, Guildhalls, and Royal Palace. 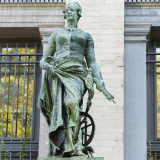 With more than 80 museums, Brussels has preserved its vast history in features like Notre Dame du Sablon and Train World, while Parc du Cinquantenaire houses significant monuments of King Leopold. Belgian cuisine is a fusion of French, German, and Dutch flavours. 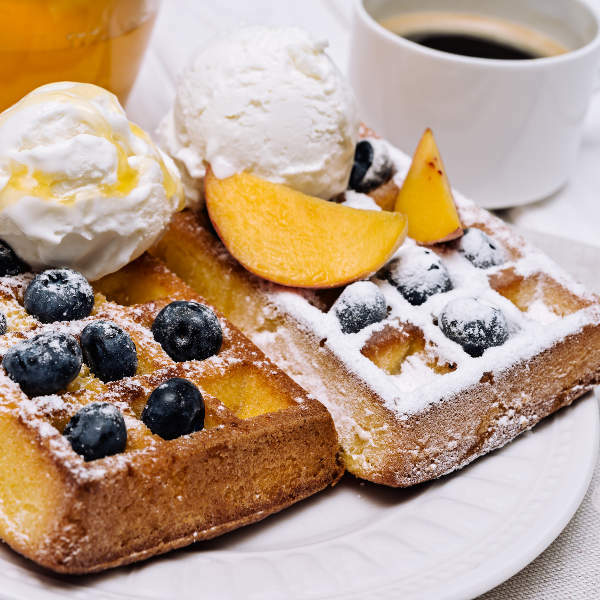 Visit the many bistros and brasseries to find the Lambic beer and waffles that have made Belgian cuisine famous! Brussels is a city with a moderate climate and has lots to offer all year round, so any time is great for a visit! Summer brings many festivals, though it can get quite hot. May is an ideal time as the weather is perfect for outdoor evening activities and the city starts to quieten down. The famous Belgian Beer Festival is held in September as colder temperatures start to set in. 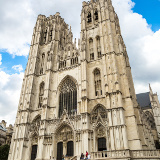 Brussels is the gateway to the cultural medley of Europe. It is a popular hub for most travellers starting their European holiday. The medieval architecture of the old town gives an enchanted, nostalgic feel to the city. Aside from its historical and architectural landmarks, such as the Town Hall and Guildhouses, the city has some of the best bars, shopping spots and colourful nightlife scenes in Europe. What would a trip to Brussels be without sampling its finest craft beer and chocolates? With many tours to choose from, you’ll soon be trying your hand at chocolate making and tasting many traditional Belgian specialities at the city’s most popular food stops. Compare several airlines, and book your cheap flights to Brussels online with Travelstart! South Africans need to apply for a Schengen visa to enter Belgium. This process can take up to several months to start your application early. Passports may not be older than 10 years, must have 2 blank pages and be valid for at least 3 months beyond your date of departure from the Schengen state. People residing in Cape Town and Johannesburg can apply for their visa using TLS services. Before contacting TLS you need to complete your online visa application form on VisaOnWeb. For more information, contact the TLS contact centre: +27 (0)21 401 7501, contact.jnb2be@tlscontact.com or visit their website. Brussels is one of the safest cities in the world. It is filled with many friendly and welcoming locals who are always willing to help, especially if you are new to the city. Keep in mind that petty crime is most likely to occur during peak season, so always be vigilant when you’re out in busy areas. Brussels is a great place to experience the magical history of Europe. The medieval city centre boasts an array of seafood restaurants, charming cafés and boutiques tucked away from the main roads. Just ten minutes away from the centre, Sablon is famous for its quaint, antique stores and is very accessible to public transport. Hostels in the area cost around €20 a night. Just south of the city lies Ixelles. This shopper’s paradise is home to big designer stores by day, while by night the live music venues create a funky, upbeat vibe along the streets. A little south-west of the city centre, you’ll find the laid-back neighbourhood of Anderlecht. The family-run B&Bs and low-key hotels create a relaxing, family environment. Be sure to check out the Cantillon Brewery for a tour and taste of the local brew. With a well-developed public transport system, you’ll have no problem manoeuvring around this compact city. When touring around the centre’s main attractions it is best to walk. Buses and trams criss-cross the city and they operate on the same ticketing system, making transfers and purchases convenient. Renting a car is recommended for longer stays and rental companies like Avis and Hertz are available at the airport. The city has three main railway stations. The trains operate within the city and also have lines going out to other cities in Europe. The airport train, operating 24/7, leaves for Brussels Central Station every ten minutes and costs around €9. Taxis are found at clearly marked taxi stands or you could flag one down along the street.